Why Should Dr. Kay Perform My Tummy Tuck? A flat stomach can be the ultimate symbol of health, fitness and youth, but the abdomen is among the hardest places on the body to slim down and tone up. If your midsection stubbornly resists diet and exercise, has excess skin or separated abdominal muscles, a Tummy Tuck in DC can provide a smoother and visibly firmer abdomen. 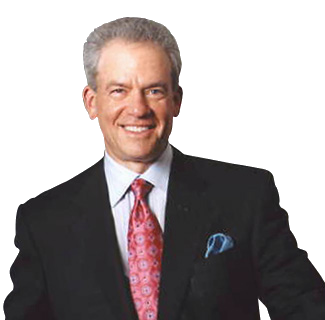 Recognized as one of the top Abdominoplasty plastic surgeons in the Bethesda-Chevy Chase metro area, Dr. Stephen Kay has helped thousands of women and men from in and around Washington D.C. gain confidence in their bodies with tummy tucks. In addition to tummy tucks, Dr. Kay offers a full range of cosmetic plastic surgery procedures for both face and body. Please contact us online or call our Chevy Chase plastic surgery practice at 301-951-5120 for more information on tummy tucks. 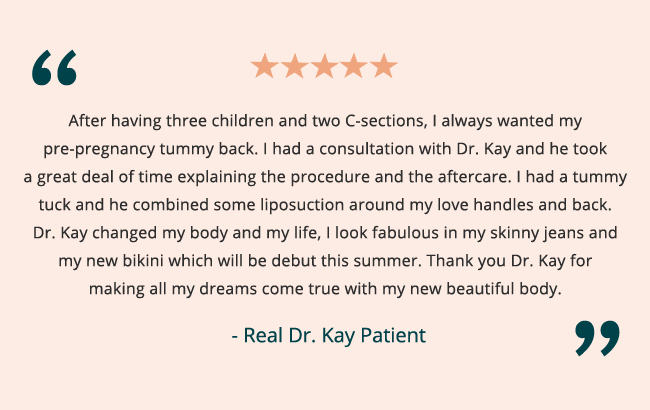 Dr. Kay has extensive experience with the ATL Tuck (Tummy Tuck), also known as Lipoabdominoplasty, which is the combination of liposuction and a tummy tuck in a single procedure. With a tummy tuck, also called an abdominoplasty, excess fat and skin is removed from the midsection, and the underlying muscles are tightened. Women and men in good general health who have excess or stretched skin following weight loss or pregnancy, a protruding or disproportionate abdomen, or weakened abdominal muscles can all be ideal candidates for a tummy tuck. Maintaining realistic expectations is important, as abdominoplasty is not a weight loss procedure, and can only help improve body contours after candidates have reached and maintained a steady target weight for several months. Tummy tucks can also be effective for women who wish to recover their pre-pregnancy bodies, and is often included as part of a mommy makeover. However, the best results are seen in women who have already completed their families, as future pregnancies could compromise the results of the surgery. Please visit our before and after photo gallery to see the real patient results that are possible after a tummy tuck. The costs associated with your abdominoplasty will vary depending on techniques used and if other procedures are performed at the same time. Total costs will include Dr. Kay’s surgical fee as well as costs associated with anesthesia and the surgical facility plus follow-up appointments. Dr. Kay and his staff are happy to explain all the available options for cosmetic surgery financing that can help make your tummy tuck even more affordable. During your consultation, Dr. Kay will discuss your goals with you, along with all the details of your surgery and recovery so you’re fully informed about what to expect. He may recommend combining your tummy tuck with liposuction to help further refine your results. To start the surgery, Dr. Kay will make a horizontal incision that runs from hip to hip between the pubic line and the belly button. Typically, this is placed low enough to be hidden by everyday clothing and even swimwear after healing for discreet results. Next, the skin is lifted and the underlying muscles are stitched together to repair and tighten your belly. Excess skin and fat is trimmed away, and the remaining skin redraped for a smoother, tauter look. You can expect to rest for the first few days following surgery. Although you can be up and walking slowly the day after your procedure, plan to take off about 2 weeks from work, and avoid strenuous exercise for 4 to 6 weeks. Dr. Kay may advise you to wear a compression garment to help reduce swelling, encourage skin and tissue to conform to your new contours and provide additional abdominal support. It’s common for patients to notice some swelling for 4 to 6 weeks after surgery, although you should see an improvement in your figure almost right away after your procedure. Your final results should be visible by about 3 months, when you should find your stomach slimmer, your tummy muscles tighter and enjoy a sleeker, more toned profile. If you would like to learn more about a tummy tuck procedure, you can do so here or by visiting Dr. Kay on RealSelf. 1 Why Should Dr. Kay Perform My Tummy Tuck? 1.1 Is a Tummy Tuck Right for You?